For my interface design class, we had the chance to choose any website that we thought could be improved, and redesign & code it. 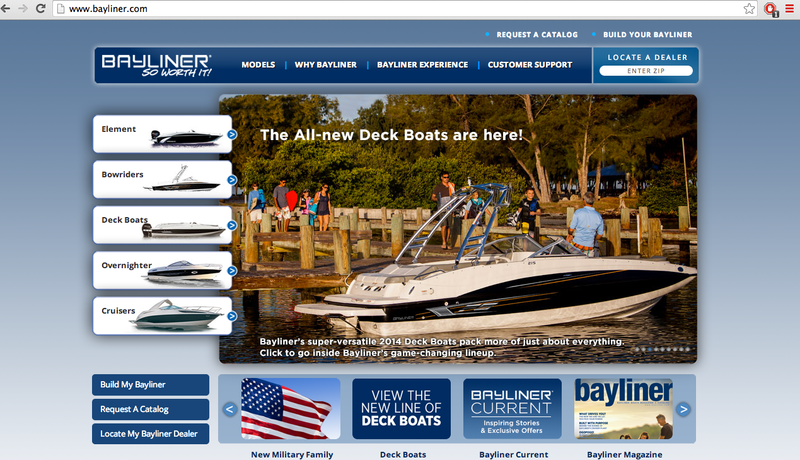 I chose to redesign the Bayliner Boats website. 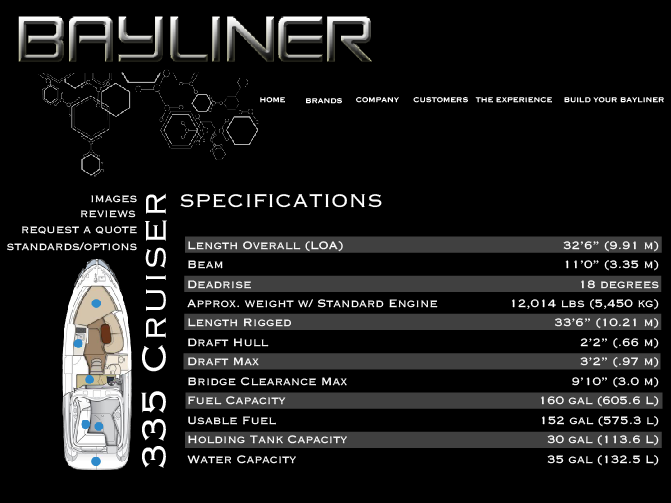 The original site (shown at the bottom) was a bit too cluttered with confusing navigation. 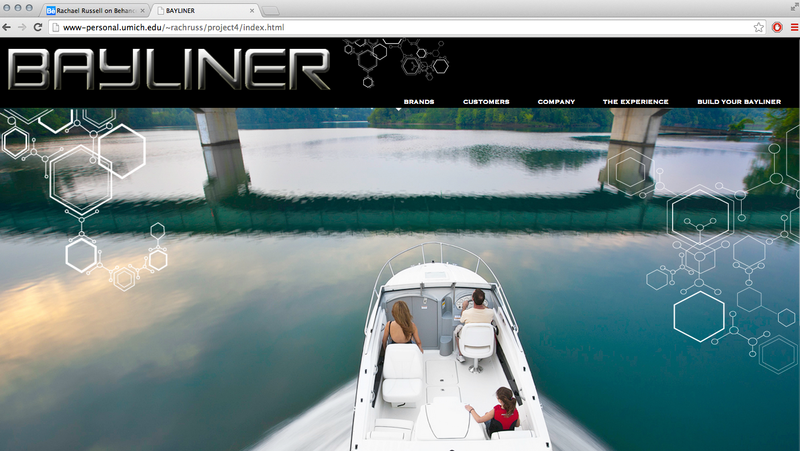 My redesign is a responsive, improved, streamlined version of the original site. 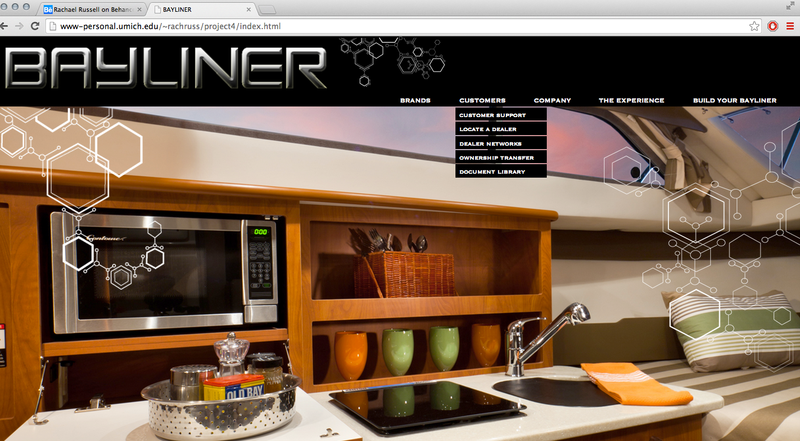 All done using HTML, CSS, and jQuery. 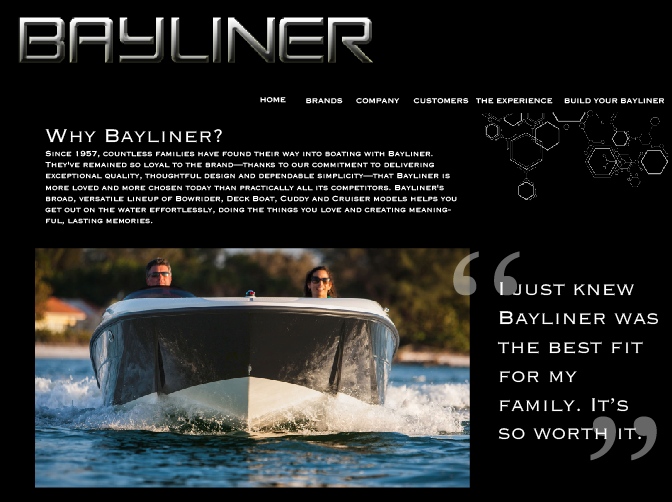 Shown below is the original (current) Bayliner website.